The French fashion house has unveiled a collection with the American artist. Louis Vuitton, known for its collaborations with creatives like Yayoi Kusama, Takeshi Murakami and Stephen Sprouse, has teamed up with yet another prolific artist. This time round, Jeff Koons—famous for his larger than life balloon animals finished in shiny, stainless steel—is producing a collection with the French fashion house. The collection, called "Masters", feature well-known works of art by renowned painters. Think: Leonardo da Vinci's "Mona Lisa", Vincent van Gogh's "Wheat Field with Cypresses", Jean-Honoré Fragonard's "Young Girl Playing with her Dog", Titian's "Mars, Venus and Cupid", and "The Tiger Hunt" by Peter Paul Rubens, printed onto bags, scarves, laptop cases and more. 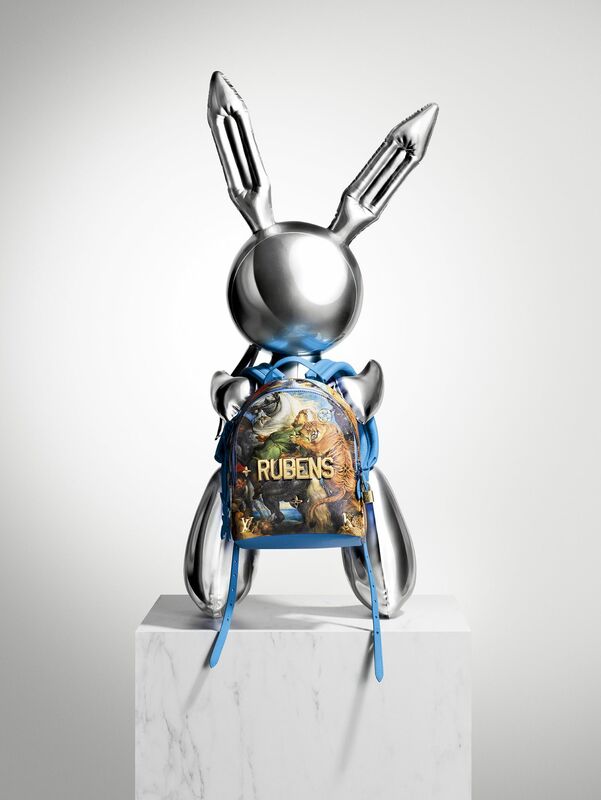 The accessories will also have the names of the artists amblazoned in bold across them, and the bags will each have a leather charm inspired by Koons' "Rabbit" sculpture. Curious about the collection? View the bags in the gallery bellow.